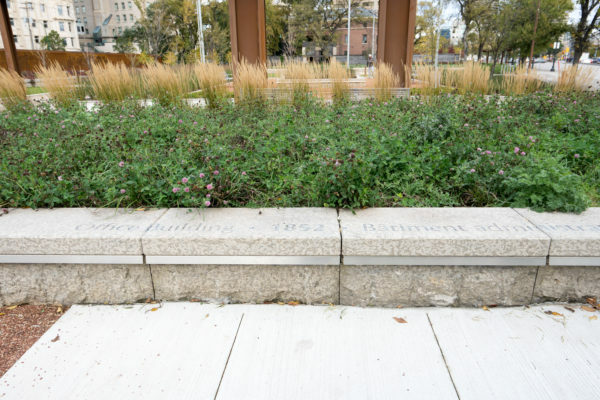 In 1870, the voices of Donald Smith and Louis Riel boomed over hundreds of Red River settlers assembled at the foot of Upper Fort Garry’s Office Building. 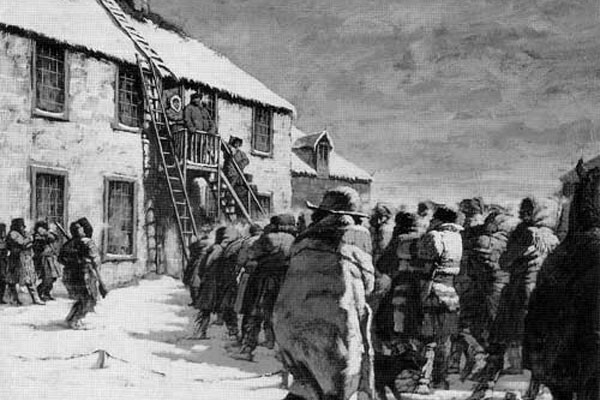 The two men discussed the future of Rupert’s Land, the Hudson’s Bay Company territories, which would later become the province of Manitoba. They stood on a second floor gallery, or landing, where the stairs from the east and west corners of the building met. Completed in 1852, the office building wasn’t just an ideal platform from which to address crowds. 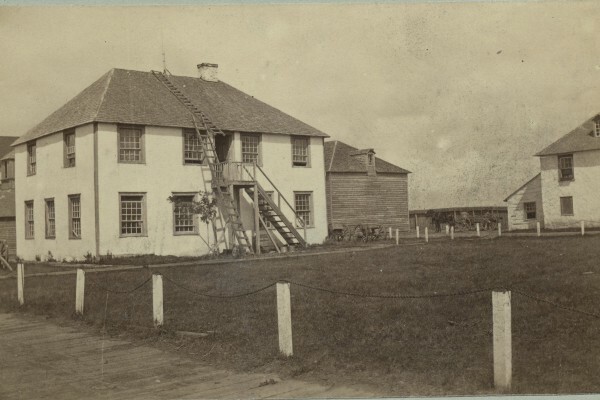 It was the focus of the northern end of the older half of Upper Fort Garry. 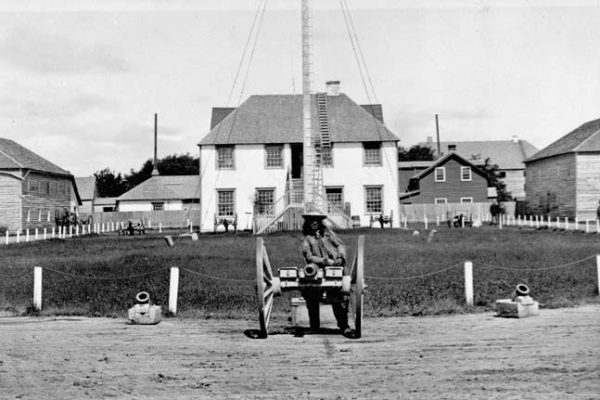 Measuring 18 by 36 feet, the structure was two storeys high and had a steep hip roof with one chimney. The building was the administrative and bureaucratic center in the heart of the ‘workaday’ section of the Fort. Its doors faced south, away from the residential part of the Fort and the Governor’s House. Only the second floor was actually used as an office. Before it was built, records and accounts were kept in the sales store and the better-heated Main House during the winter. (The Main House was replaced by the Governor’s House in 1854). A few clerks, usually men born in Great Britain, handled this paperwork. The office was also symbolically important because of its ties to political power. In the spring of 1870, it was the seat of the Legislative Assembly of Assiniboia – the newly-founded parliament of the Red River district. Here, representatives of the settlement discussed the territory’s future, resolved their differences, and agreed to join the newly-created Canadian confederation. 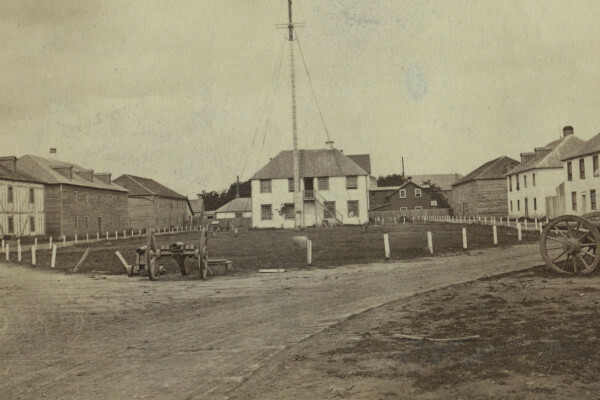 Administrative centre of fur company operations in the heart of the "workaday" section of the Fort and, in 1870, the home of the Legislative Assembly of Assiniboia.